Football (soccer) is the most popular sport in the world. There is no argument. No disrespect to baseball, basketball, rugby or American football, hockey, cricket, volleyball, and athletics, but football is in head and shoulders above these other sports in terms of history, players, and fans. What’s great about football is that the sport has been integrated in the cultures of some countries, take for example Brazil and England. 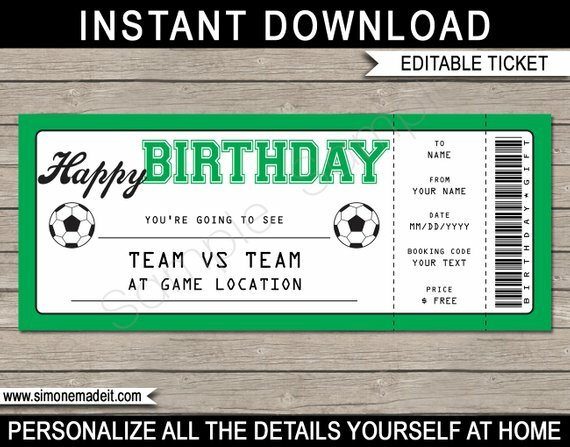 If you are planning to host an event, look no further than to use a football-inspired theme for your ticket cards. 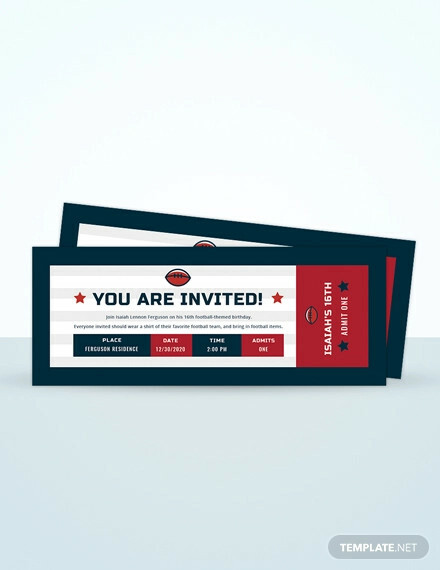 We provided some very attractive football event ticket invitation cards that you can purchase at very affordable prices. 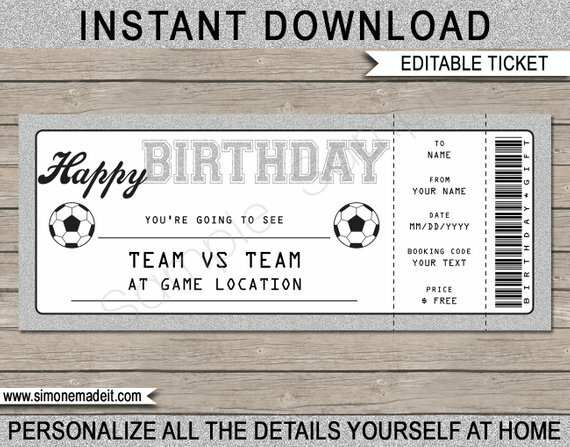 The said examples are also easy to edit and customize to fit your own football ticket card design. 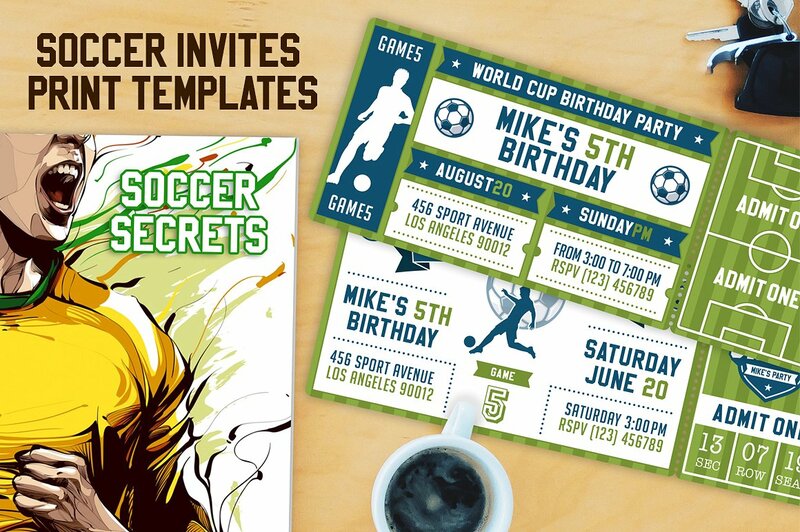 Listed below are the most popular football events in the world. The list is a combination of tournaments and leagues that have attracted the most viewers as well as fans from every corner in the world. 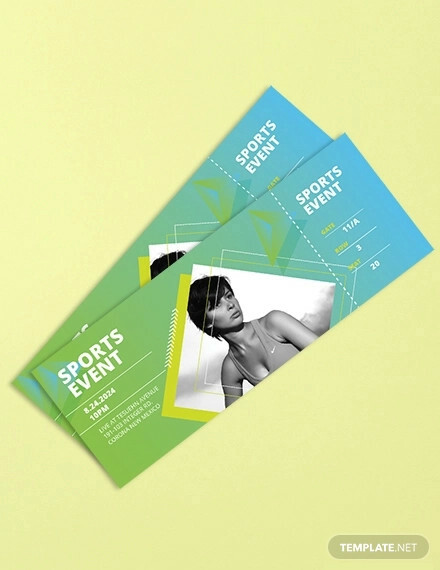 The Federation Internationale de Football Association (FIFA) is the largest football governing association in the world, and every four years it holds the most popular football event on the planet—the World Cup. The popularity of the World Cup is only equal, or probably exceeds the other event which is also held every four years, the Olympics. The 32 best national teams in the world participate in the World Cup, in which also participated by the game’s best players. The players take a break from their respective clubs or teams to join their national teams in the tournament which is played in a one-month span. 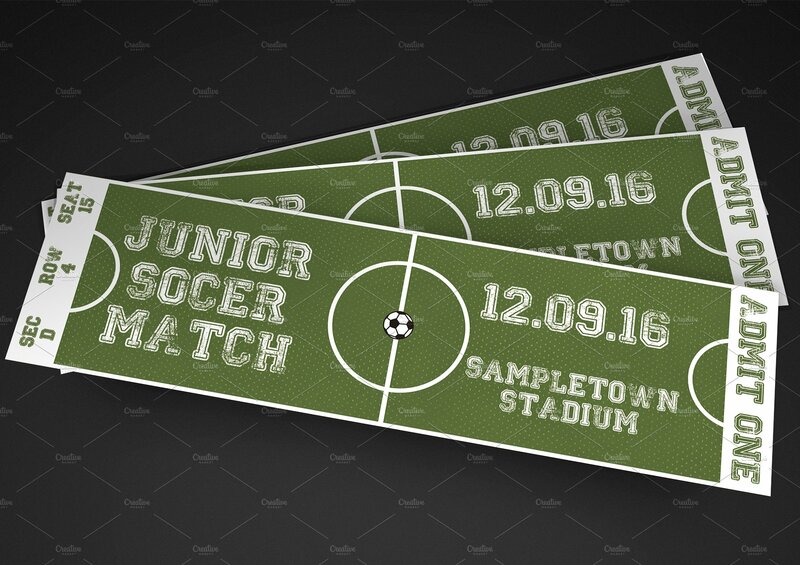 The 32 teams are distributed in eight groups, where only the two top teams of each group advance in the semifinals. 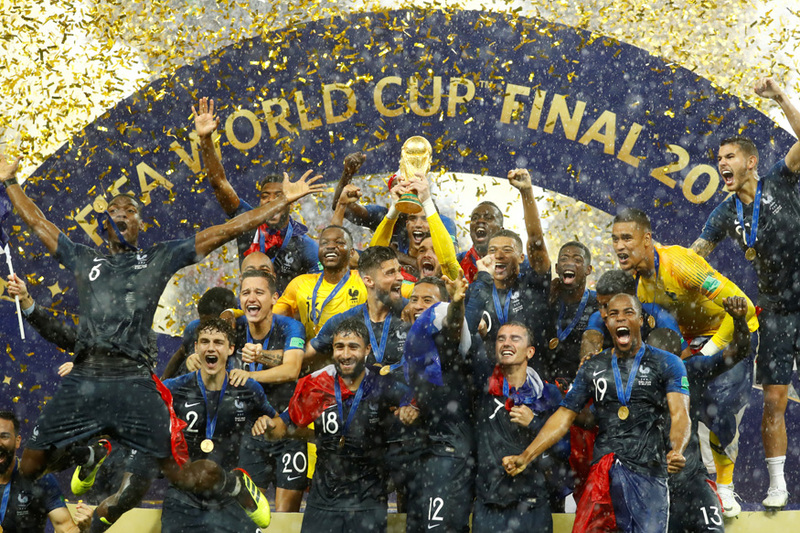 The remaining teams then knock each other out in the round of 16, quarterfinals, and semifinals, until the last two teams battle to lift the 18-carat gold World Cup trophy. Legends are made in the World Cup. Pele and Diego Maradona, two of the greatest football players of all time and have won the World Cup for Brazil and Argentina respectively, are not known for the success they achieved for their local clubs but for the heroics they mustered for their respective countries in the said tournament. You may have also watched the recently concluded World Cup which was held at Russia this summer. It was regarded as one of the best World Cup tournaments of all time due to the overall beauty and high level of safety in the country, excitement of the games, surprise success of underdogs (Croatia reaching the finals for the first time, Russia reaching the quarter finals), underwhelming performances of favorites (Argentina and Germany knocked out early), and France winning the trophy for the second time in the tournament’s history led by teenage sensation Kylian Mbappe. Compared to the World Cup, The UEFA Champions League is a yearly league played by 32 local clubs or teams from different countries in Europe. If the World Cup is the most prestigious footballing event in the world, the Champions League is the most prestigious footballing event in Europe. Players and clubs cement their immortality in the sport by winning the Champions League. That is the reason why players from different countries around the world go to Europe for a chance to play for a club that has qualified in the Champions League. Similar to the World Cup, the clubs playing in the Champions League need to earn their spot in participate in the tournament. The top four clubs of each European country (i.e. top four pertains to the four teams who have finished the season with the most points) are distributed among eight groups, in which the knockout process is similar to the World Cup. The top two clubs of each group advance until there are only two remaining clubs who will fight for the Champions League trophy. Success is ever-elusive in the Champions League, as the said tournament remains as the most physically and mentally draining tournament in the world especially for the clubs participating in it. Even before a new Champions League campaign begins, clubs have to finish as one of the top four teams in their respective leagues the prior season. 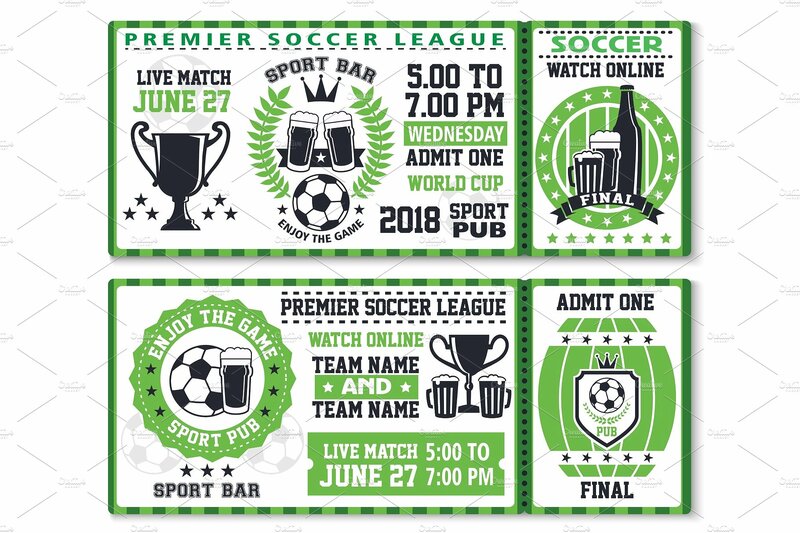 And when the said tournament actually begins, the schedule of games are crammed together with the current season of the clubs, who are not only fighting to win in their respective leagues but are also required to join other smaller tournaments. A club who has not qualified for the Champions League only plays one or two games per week, but for clubs who have qualified meanwhile have to play three or four games a week. Similar to the World Cup, immortality is also cemented in the Champions League. The most historic clubs in Europe have won the tournament more than once. 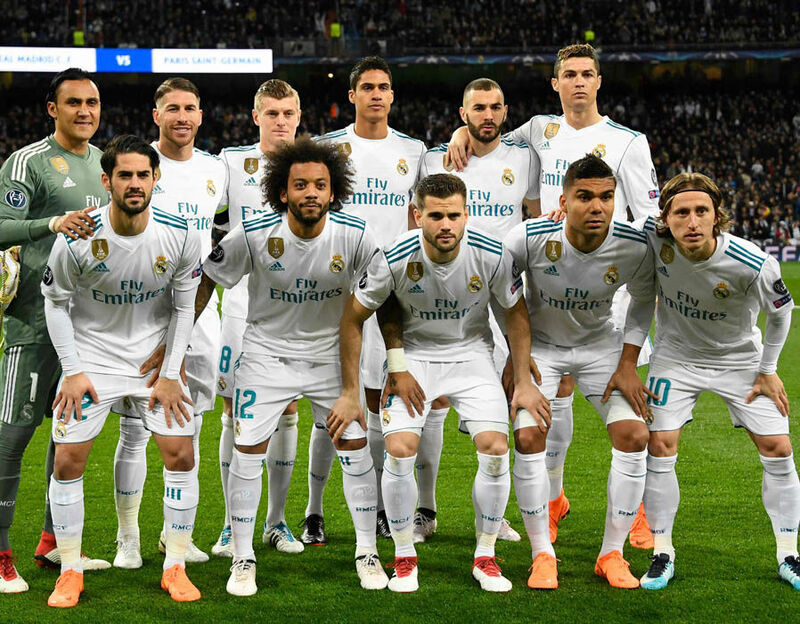 Real Madrid (Spain) is the most successful club in the Champions League, winning the tournament 13 times (they are also the current holders winning the tournament three times from 2016–2018), followed by Milan (Italy) who were crowned champions seven times, then Liverpool (England) and Bayern Munich (Germany) who both won the tournament five times. 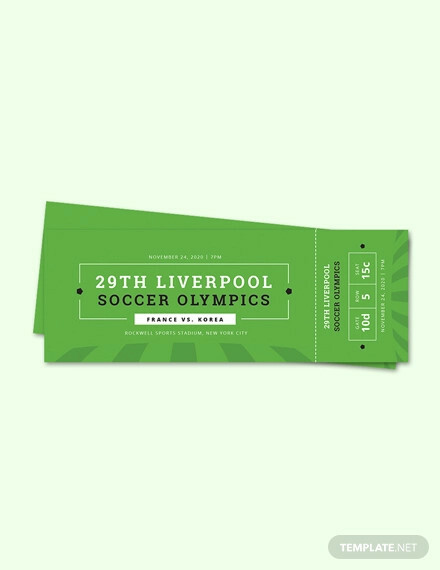 Among the great Champions League moments include Liverpool’s stunning comeback against AC Milan in the 2005 final, Fernando Torres’s injury time stunner against Barcelona in the 2012 semi-final, Robert Lewandowski’s four-goal demolition of Real Madrid in the 2013 semi-final, and Real Madrid equalizing at the last kick of regular time and eventually winning the trophy 4-1 during the 2014 final. Although considered more as a league than a tournament, the Barclays English Premier League also showcases the best football in the planet. As a precursor to the Champions League, twenty English clubs battle until four remain of which the four automatically qualify for the Champions League the succeeding year. The club with the most points in the season (total wins, losses, and draws are calculated) are named the Premier League champions. A typical Premier League season is played from August to May, with the games being played mostly on weekends. Although no club is technically eliminated or knocked out in the Champions League, the club is out of contention from the top four if it has accumulated more losses and draws than wins. The Premier League has produced some of the best players the world has ever seen. Thierry Henry spearheaded Arsenal’s “The Invincibles” campaign back in 2004, with the team winning the Premier League without losing a single game in the league that season. Homegrown Liverpool boy Steven Gerrard (Liverpool) and Frank Lampard (Chelsea) were one of Europe’s best midfielders during the mid 2000s, with the former leading his team to Champions League glory in 2005 while the latter winning the Premier League three times. One of the greatest of all time, Cristiano Ronaldo began his career with Manchester United, scoring 84 goals and winning the league three times before moving to Real Madrid for 80 million euros. After its inception in 1992, the Premier League has crowned only four champions. Manchester United is the most successful team in Premier League history, winning the league 13 times, followed by Chelsea (5), Arsenal and Manchester City (both 3 times), and lastly Blackburn Rovers and Leicester City (both winning the league once). 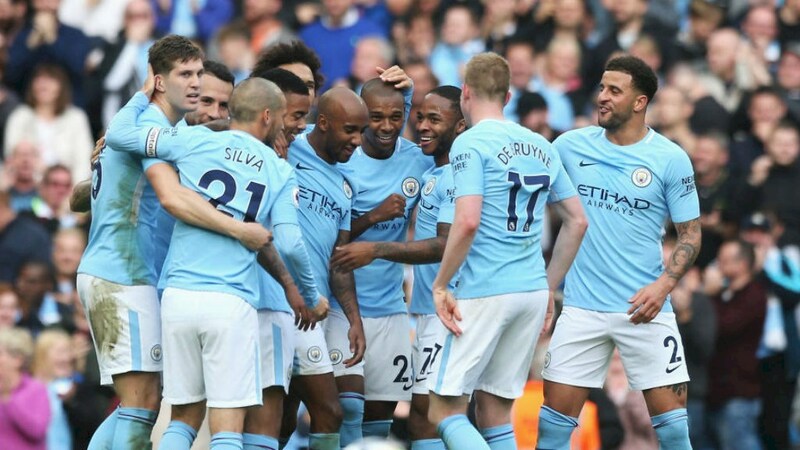 Manchester City is currently dominating the league, showing consistent top four performances every year while winning all three of their Premier League titles in the last decade. Leicester City’s title run in 2016 continues to be the best Cinderella story in the entire history of football, having won the title after almost being relegated to the second division the year prior. If the Premier League is the top football league in England, La Liga (La Liga Santander) meanwhile is the premier football league in Spain. The Premier League and La Liga both follow the same rules when it comes to Champions League qualification, number of teams, and schedule of games. La Liga is known (for better or worse) as the league of two behemoths: Barcelona FC and Real Madrid CF. Ever since the league was founded in 1929, Barcelona and Real Madrid have won the titles for a total of 58 times. Only seven other teams have won the title in La Liga’s 89-year history. In short, 68% of La Liga trophies are won by either Barcelona or Real Madrid. Aside from Deportivo La Coruna, Valencia, and Atletico Madrid’s title wins in 2000, 2004, and 2014 respectively, no other Spanish team has won La Liga in the 2000s. Football fans may not like Barcelona and Real Madrid’s duopoly in Spain’s top-flight tournament, but there is definitely no doubt that the game’s best and most heated rivalries arise from these two clubs. Did you know that the rivalry also has its own name, “El Classico”? As it seems that every match between the two always produce high levels of intensity and excitement. El Classico was its peak when Ronaldo arrived from Manchester United in 2009 to battle Barcelona and its new star Lionel Messi. What happens after is 9 years of fierce rivalry, with each player trying to one-up the other not only in El Classico games but other league games and tournaments (including the World Cup) as well. If Messi scored two goals and dished out an assist in one game, expect Ronaldo to score and assist the same number (if not more) in his next game. 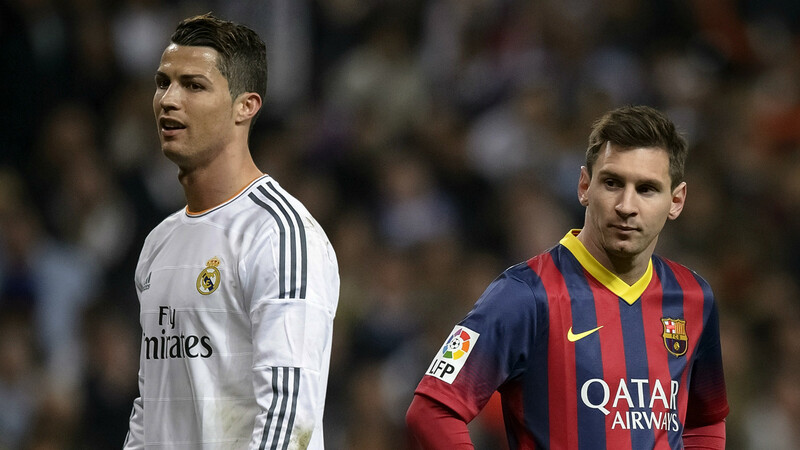 All-time statistics reveal that Messi has more trophies (30) compared to Ronaldo (24). No other player, current or retired, comes close to the trophy count of both superstars. El Classico was never just about Messi and Ronaldo though. Among the other highlights of El Classico included Ronaldinho’s (Barcelona) magical two-goal performance back in 2005, Luis Figo being considered a “traitor” after switching from Barcelona to Real Madrid in 2000, Johan Cruyff joining Barcelona in 1973 and helping the team demolish Real Madrid 5-0 while also winning the league that season, and Real Madrid beating their fierce rivals in the Champions League semi-final (3-1 aggregate) and eventually going on to win the tournament. We hope you enjoyed reading this article. Don’t forget to purchase the examples we provided. 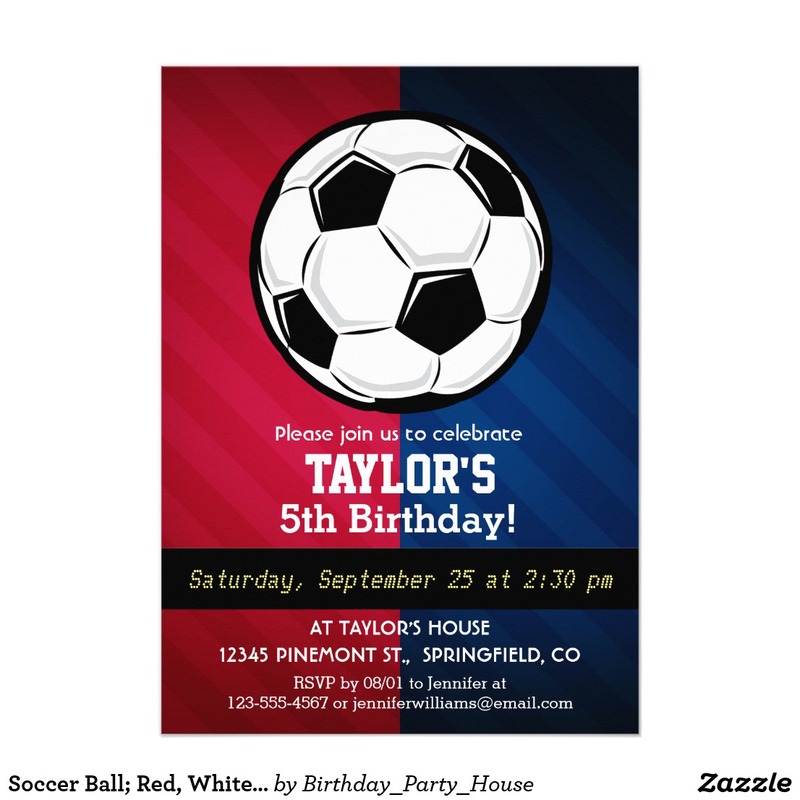 They are very affordable and you can easily personalize them as well.